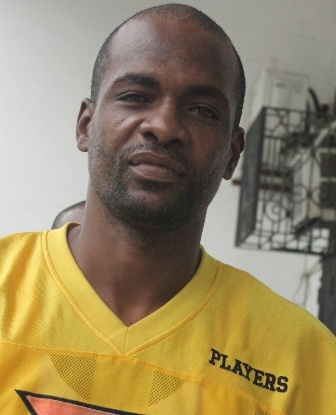 Thirty-four year old Roger Bradley picked up his third conviction for crimes of dishonesty when he appeared before Chief Magistrate Ann Marie Smith today. He was sentenced to eight years since he has two previous convictions, for burglary and theft. Bradley was found guilty of burglarizing the home of Luana Sosa, on Freetown Road, Belize City on the morning of March twenty-fifth, 2014, sometime after nine o’clock and stealing two electronic games belonging to Sosa’s children. Bradley was caught in the act by the babysitter, Marva Williams, who came face to face with him. She chased Bradley out of the house and pursued him in an attempt to get back the stolen items. She finally caught up with him at the corner of Freetown Road and Cinderella Plaza where a friend grabbed the bag containing the games and handed it over to her. But before Bradley was intercepted by the police, he was accosted by two men who subdued him. Angry neighbors held down Bradley and administered a beating on him. Police Corporal Jermaine Middleton responded to the scene where Bradley and arrested him. In court, Bradley denied the allegation saying that he was on Freetown Road, when a young boy gave him the two games before he was attacked by a group of persons. But at the end of his trial today, Bradley was found guilty.